The following articles and data are intended to give the reader a sense of the scale of the opioid epidemic in Maine which has grown dramatically in the last few years. 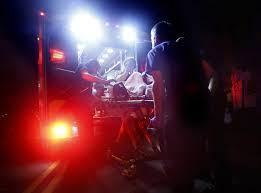 In the first six months of this year, there were 189 drug overdose deaths in the state, a 50 percent increase over the same period last year. Fueled by the opioid crisis, drug overdose deaths continue to skyrocket in Maine, with the state on pace this year to exceed last year’s record by almost 40 percent. Addiction to opioids – including heroin, fentanyl and prescription painkillers – is causing most of the deaths. 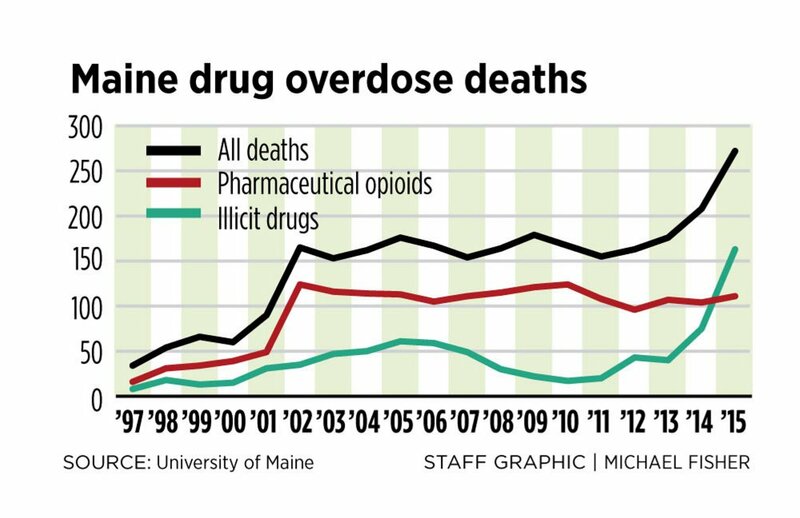 There were 189 drug overdose deaths in Maine through June 30, a 50 percent increase over the same period in 2015, when there were 126 overdose deaths, according to the Maine Attorney General’s Office. If the pace continues, there would be 378 overdose deaths this year. In 2015, 272 people died from drug overdoses in Maine. The Maine Opiate Collaborative was formed after Governor Paul LePage held a Summit in August 2015 to address the heroin/opiate epidemic in Maine. The announcement of a coalition to address the issues of supply, demand and addiction brought a resounding response from Maine citizens and experts who volunteered time and expertise. The Collaborative sought to bring together professionals and experts in the field of law enforcement, education, prevention/harm reduction, and treatment. Three Task Forces focused on the primary issues in these respective areas and these groups met regularly from approximately October 2015 to identify and address the areas within their subject expertise. As part of this process, the Collaborative also held more than 20 public forums across the state that were attended by more than 1200 concerned Maine citizens. Attendees told the panels about the impact of opiates on their lives and offered advice of what can be done. MNPA member Patricia Hamilton, FNP, was a member of the Collaborative's Treatment Task Force.